Thorpe Bay rolled out the red carpet for the return of the Hurricane 5.9s last seen thrashing it out for the Nationals on site back in 2010. A very competitive field of 24 boats boosted by the ever expanding local fleet were raring to go with defending National Champion Grant Piggott crewed by local Moth/Dart 15 Guru Kyle Stoneham ready to take on the challenge from previous title winner Richie Hanmore crewed by Ed Smith. The event was also a first time experience for no less than six ‘Nationals Virgin’ teams/boats. Saturdays racing was a rather gentle affair with light winds from the South West and a flood tide. First blood went to Jack Tindale and Hugo Bull from Stone SC following the demise of their clubmates Kev and Trev Bawden who found themselves in a no wind parking bay. Second went to the inland specialist from Bala, John Tuckwell and Chelsea Furber with the local father and son team of Nick and Teddy Elmore taking third. The second race was back to back with similar conditions prevailing although the tide was due to turn during the race. 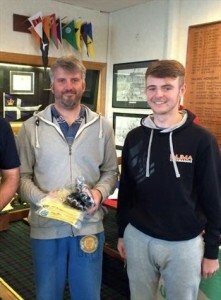 This time it was the Canvey Island YC pairing from just up river of Lloyd Turner and Harry Lucas who took on an unassailable lead followed in by Team Bawden having got out of their hole in race one an then the first appearance in the top three of seasoned father and son team of Geoff and Dan Tindale carefully picking their way through the fleet. The first social of the event kicked off in style with professional comedian Phil Reid who admirably dealt with the barrage of heckling from the well fed and watered audience ! Sunday produced some much better breeze from the east, single wiring with the occasional bit of double wiring and no problems downwind with the kite up. Another challenge from Thorpe Bay came from Paul Palmer and Richard Hamblin getting into gear early on (maybe all that heckling the night before helped them get rid of any pre-event tension ! ), followed by Devon’s finest in the form of Doug Smith and Jamie King from Starcross YC. However, both were far too busy keeping an eye on each others’ next move to see Jack Tindale slip a gybe in close to the shore and pick up a superb vein of pressure leap frogging them into the lead which he maintained to the finish. Race four saw the hecklers re-group. Paul Palmer lead again at the windward mark – surely no one would slip through again ? Yes, they would! This time from Tindale senior team (Geoff and Dan) who also found an escalator ride to the top in the form of their very own private band of pressure on lap three. Richie Hanmore was at last showing some light wind form sailing up through the fleet to nip a third. Sunday nights apres sail was sponsored by Paul Palmer with a very well received happy hour and live band, with his score line of a 2 and 2 he summed up his day “in the first race I had a nice lead when a Tindale turned up, in the second race had a nice lead when the other Tindale turned up”. Monday was light and offshore. The word on the beach from the locals was that a seabreeze may come in to cancel out what was on the table. Bingo, they were right! After a rather unusual first lap with more holes in it that a colander, Richie Hanmore and his club mates the Bawdens pulled out a safe lead down the first run. Maybe they didn’t pay their parking dues in race two as they found themselves well and truly stationary watching the rest of the fleet sail by! The new leaders may well have felt smug, until they got to the bottom of the course which turned out to be the top as the wind started a 180 degree turn. For a while there were boats on the same heading beating and flying a kite. It was the Tindales who broke clear through the melee and as they approached the committee boat the shorten course was signalled. Geoff showed his son what it was all about by holding his nerve to cross on port by inches from Jack and take the line, however no gun, OCS ? No signal for Jack either, a swift about turn and a sprint through the former leeward gate then through the line did the job, only Jack got the better of Geoff with some quick reactions to take the gun. The phantoms of the lake, John Tuckwell and Chelsea Furber took a smooth 3rd and games and general confusion was the name of the game for the remainder of the finishers who should have listened at the briefing regarding shortening of the course. Race six followed with some serious team talking going on amongst the fleet and time to shake off that last race nightmare and dig deep. The new breeze was holding but the cloud was thickening and the word from the locals was that the wind was going to switch back. As the race progressed, Richie Hanmore showed he could get it back together after his parking experience with a good lead and close battle with Jack Tindale, but it was not to be as Richie crossed the line to silence having been OCS. The holes were back on the course again with Geoff Tindale taking his turn at parking along with the majority of the fleet with Lloyd Turner taking second followed by the Elmore’s. As the wind began to switch off and flick back to a land breeze, fourteen boats were timed out. Monday evening witnessed a very well attended and enthusiastic AGM with lots of new faces having valuable input. For many it was a day on the course they would like to forget, however, after a few beers their attention turned to the games night. Thorpe Bay was at its best with some pretty ingenious activities for family, club members and competitors to join in organised by Struan Wallace. So as Tuesday dawned, there was all to play for with the double discards to kick in allowing some nightmare results to be ditched. At the top end it was looking like a straight fight between the Tindale’s. The breeze was up, south westerly 12-15 knots and rain which had no effect on dampening anyone’s’ spirits! Racing was fast and furious, all revelling in the breeze. The Elmore’s had a great start before being overhauled by club mates Julian Reichert and Jeremy Sandford who were able hold off the advances of Geoff Tindale who had the speed downwind but not the crew height upwind. 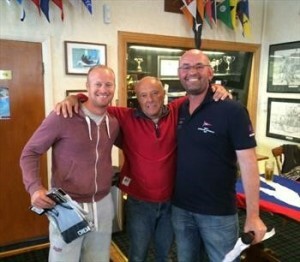 Lloyd Turner was stepping up a gear in the windier conditions to take a third, but what of Jack Tindale ? Having had a bad first leg he struggled to get out of the pack posting his worst result of the week of 14th. Could the final race see the old man show the boy the way home ? The breeze swung, the course had to be changed and Geoff Tindale capsized following an altercation with a plastic drink bottle (?). Some well chilled down sailors finally got away for the final race and it was both team Tindale’s straight out of the blocks slogging it out. Jacks crew hooked in on the back toe loop and they just sent it down wind to pull away from Geoff showing he can do it in a blow and taking the Championship title for the first time. 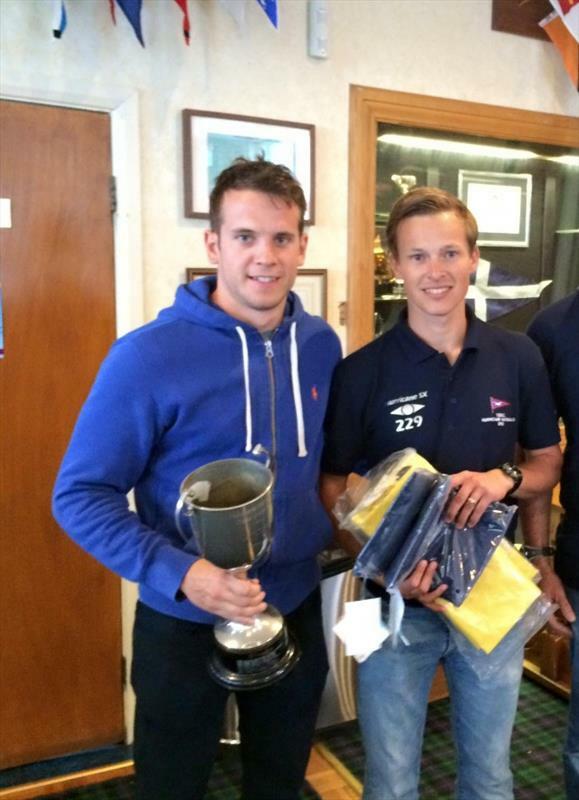 Geoff held on to second and second overall and John Tuckwell took third in the race. A fantastic event all round and well done to Thorpe Bay! Most notable were the number of father/son or daughter combinations present in the fleet with six teams fitting the bill. 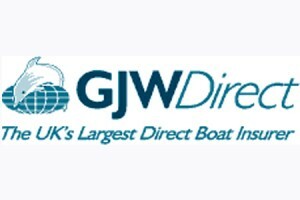 Boats travelled from as far as Dublin, Wales, Devon and Cleveland. Roll on 2016! Many thanks to the class sponsors for their generous support, Andark, AW Sailboats, Towergate Mardon, Dinghy Rope, Typhoon and Brand Identity for the awesome event shirts.